Enjoy foliage from the Rocky Mountains in the Heckman Rock Garden. Enjoy beautiful flowers, perennials and shrubs from the Rocky Mountains and alkaline environs in the Heckman Rock Garden. 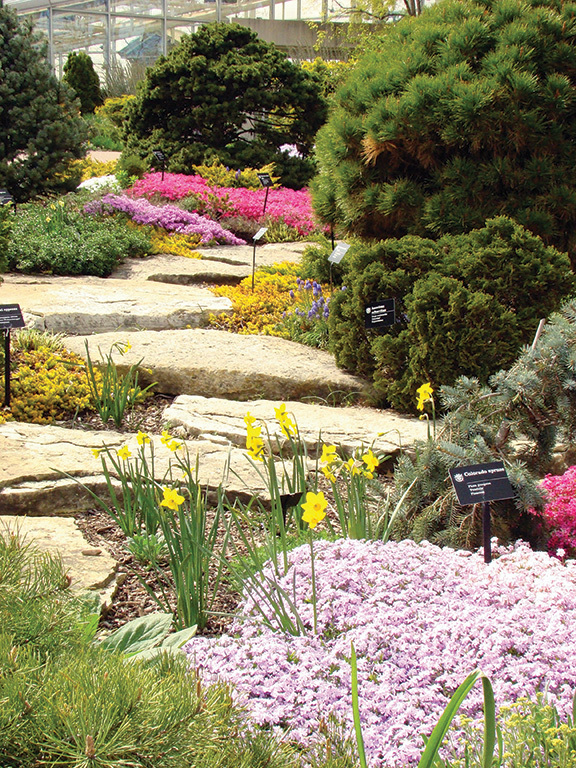 The rock garden shares a special space with the Kassabaum Dwarf Conifer Garden in front of the Shoenberg Temperate House. Garden-goers are greeted by the Don Wiegand statue, Cora. 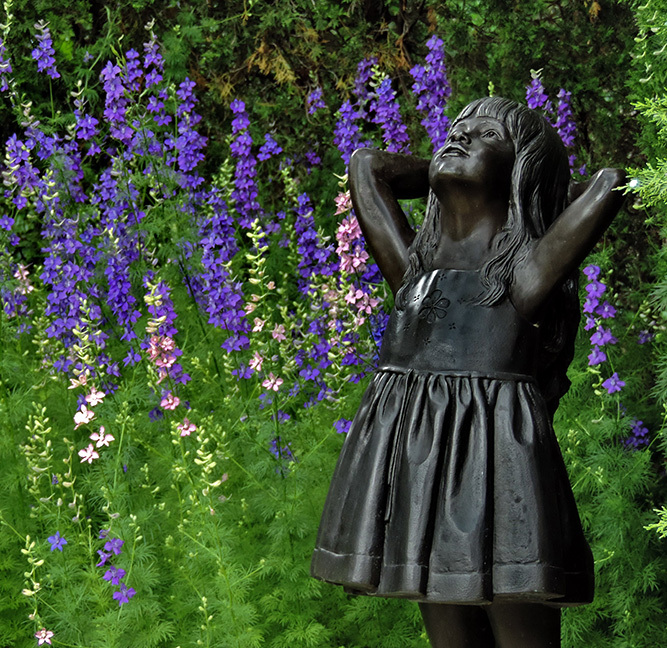 Cora was installed in November 1993 and depicts a three-year-old girl whose pose conveys youth, innocence and spirituality. Purple, pink, white and yellow flowers and plants are sure to brighten the moods of guests. Visitors can enjoy classic plants such as purple sage and cheddar pink peeking through lush green plants along the stone patterns. The rock garden is also home to the United States’ rarest wildflowers, the Tennessee coneflower. The Tennessee coneflower was one of the first species listed as endangered but was removed from the list in 2011 thanks to seed collecting. Although peak bloom is spring, the rock garden can be enjoyed year-round, with plants blooming in each season.